Does your refinery, ethanol plant, tank farm or other facility need API 653 tank repair or alterations? 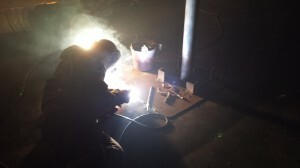 Above ground steel storage tank repair is a job for an experienced mechanical contractor like Plaas Incorporated. Plaas has a great deal of experience with API 653 tank repair and alterations for a wide variety of facilities including; storage tanks, fuel storage tanks, asphalt storage tanks and more for customers like Flint Hills, Valero, ADM, Hawkins, Owens Corning and Marathon. 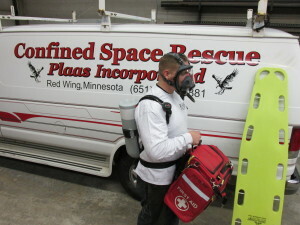 Plaas will have your tank repaired and get it back to a service-ready condition safely and efficiently. 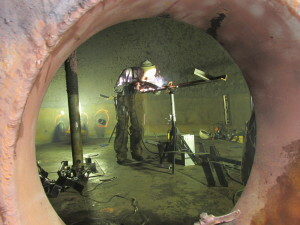 All of our repairs meet API 653 tank repair standards and can be as minor as fixing a small leak or nozzle addition, replacing a sheet in a shell course, installing a new tank floor or as major as providing support service to help replace a tank. Plaas has the experience and the credentialed technicians to deliver exemplary API 653 Tank Repair services. Your storage tank could have a minor problem, but that might be a symptom to larger issues. Don’t ignore a minor repair and let it turn into a more significant issue. For asphalt tank repair, fuel tank repair or general storage tank repair, Plaas wants to help you find the best and safest solutions to your tank problems so contact Plaas for your API 653 tank repair and alteration projects. In addition to API 653 tank repair, Plaas delivers results on all kinds of tanks including repair and alterations for UL-142 built tanks that are maintained to Steel Tank Institute (STI) standards. 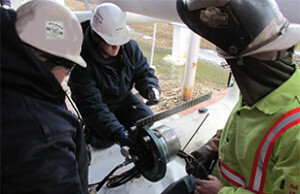 All repairs meet federal, state and local industry codes and standards for above ground storage tanks.